We often take images of sand dunes to study the mobile soils. These images provide information about erosion and movement of surface material, about wind and weather patterns, even about the soil grains and grain sizes. 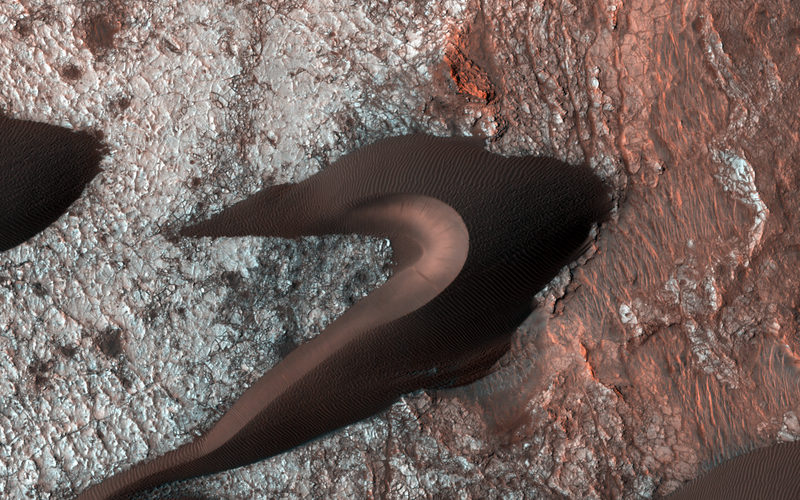 However, looking past the dunes, these images also reveal the nature of the substrate beneath. 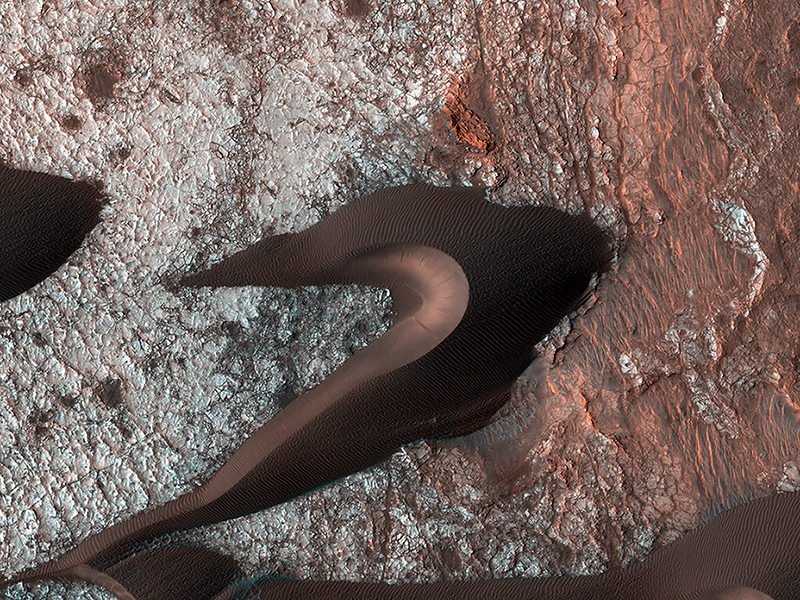 Within the spaces between the dunes, a resistant and highly fractured surface is revealed. The fractured ground is resistant to erosion by the wind, and suggests the material is bedrock that is now shattered by a history of bending stresses or temperature changes, such as cooling, for example. Alternately, the surface may be a sedimentary layer that was once wet and shrunk and fractured as it dried, like gigantic mud cracks. 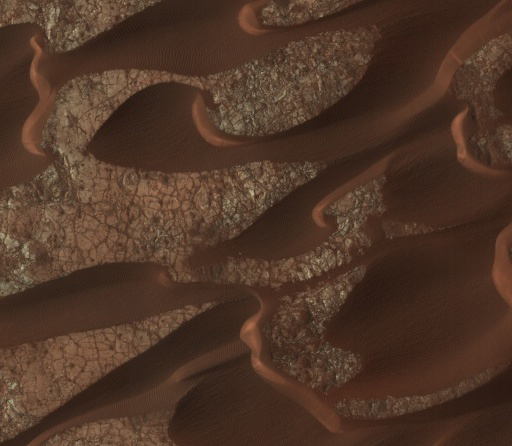 In either case, the relative small and indistinct fractures have trapped the dark dune sand marching overhead. Now the fractures have become quite distinct, allowing us to examine the orientation and spacing of the fractures to learn more about the processes that formed them.